WPI President Laurie Leshin is an accomplished academic and administrative leader, geochemist, and space scientist. At the helm of WPI since June 1, 2014, President Leshin is focused on elevating the impact of this “technological university with a human heart and a global reach,” believing passionately that the way WPI approaches STEM learning and discovery is the way it should be approached. The IMPACT our students, alumni. faculty, and staff are making across the globe multiplies every day. The work we are doing to raise the bar on our undergraduate and graduate education, elevate problem-focused research, expand our global activities, and make our community a more diverse, equitable place matters now, more than ever, to meet the complex challenges faced by humanity. 2015-2018, builds on the university’s strengths and reaffirms the productive partnership of theory and practice, WPI’s founding motto and core principle. President Leshin and Michelle Jones-Johnson, vice president for talent & inclusion and chief diversity officer, recently sat down for the Summer 2018 WPI Journal to speak about Project Inclusion and how each member of the WPI community plays an essential role in its success. 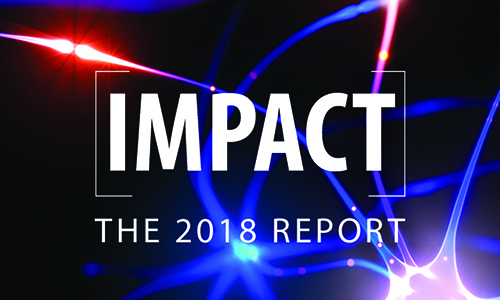 For the Winter 2017 issue of the WPI Journal, President Leshin sat down with senior vice president Kristin Tichenor to discuss how the Class of 2021 was the most gender-balanced class in its history, with female students representing 43% of the freshman student body, placing WPI among STEM institutions with the highest percentage of female students. Gregory Fischer, associate professor of mechanical engineering and robotics engineering, and VP of Academic and Corporate Engagement Stephen Flavin, joined President Leshin for the Fall 2017 issue of the WPI Journal to talk about PracticePoint--a landmark healthcare technology initiative that brings together academia, industry, and healthcare practitioners in a central point of research, development, and real-world testing. 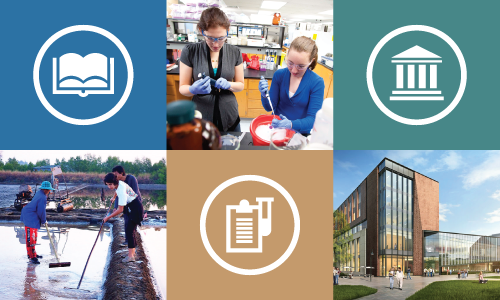 Through WPI's distinctive plan, you'll learn how to learn by applying your classroom experiences in research and projects that challenge you from a proficiency, social, and global perspective. 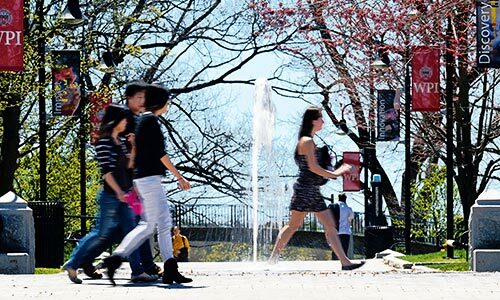 Learn more about how WPI can prepare you to pursue your passions in solving critical problems and develop skills employers value. The first project center site that President Leshin visited was in Bar Harbor, Maine. As her global travels permit, she visits students and faculty immersed in their project work. Even the art on her conference walls celebrate students making an impact—on the communities where they become immersed, and on their own lives. 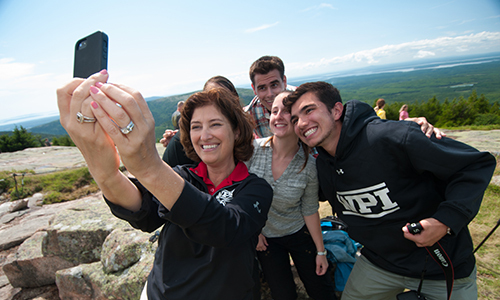 Wherever she travels, President Leshin is warmly embraced by students, all of whom want to share a #prezselfie.